What Should I Pay Attention to When Using Roller Shell? 1. Select proper compression ratio of die hole. 2. In general, the Pellet Machine Roller Shell Suppliers know Adjust the working gap between the ring mold and the pressure roller correctly, preferably between 0.1 and 0.3mm (the pressure roller is driven by the ring mold after the startup of the new granulator). 3. The new ring mold shall be equipped with a new roller for use, and the pressure roller shall be loose before and tight after matching with the ring mold. 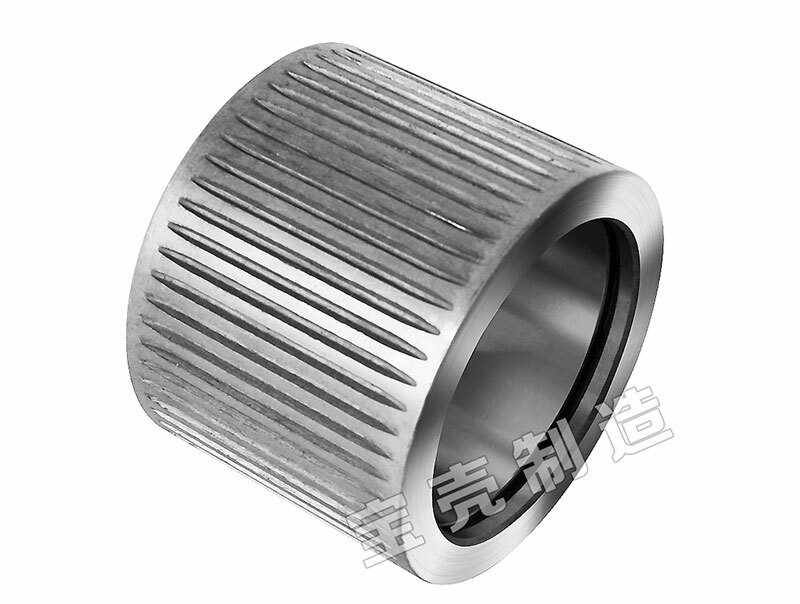 When there is a sharp Angle on both sides of the roller, it should be promptly grinded down by hand grinder to smooth the flange part of the roller, so as to facilitate good cooperation between the roller and the ring mold. 4. Before the feed pelletizing machine, it must undergo preliminary cleaning and magnetic separation treatment to reduce the pressing of iron into mold holes. And should regularly check the mold hole, see whether there is the phenomenon of blocking mold. Rush out or drill out the blocked hole in time. 5. The cone hole of circular mould guide should be plastic changed to form a contraction hole to be repaired. When repairing, it should be noted that the lowest part of the inner surface of circular mould should be higher than 2mm at the bottom of the overpass groove, and there is still the adjustment allowance of eccentric shaft of pressure roller after repair, otherwise the circular mould should be scrapped.